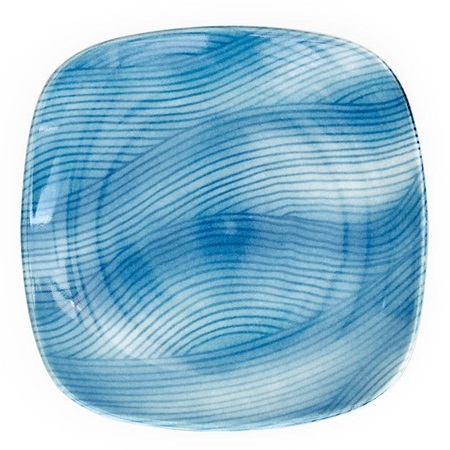 Blue Wave square side dish. Rounded corners. Great for snacks, small pastries, candles, loose change, jewelry.